Our Burgers have been featured in “Delicious” magazine ..the well known foodie publication. 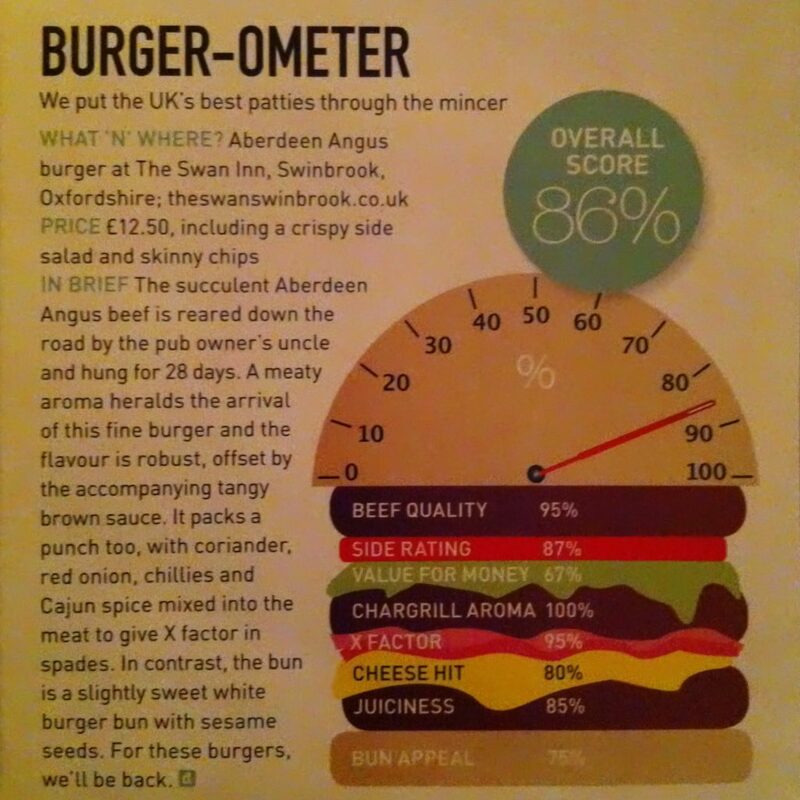 We were thrilled with our overall score of 86% on the Burger-Ometer. £12.50, including crispy side salad and skinny chips. The succulent Aberdeen Angus beef is reared down the road by the pub owner’s uncle and hung for 28 days. A meaty aroma heralds the arrival of this fine burger and the flavour is robust, offset by the accompanying tangy brown sauce. It packs a punch too, with coriander, red onion, chillies and Cajan spice mixed into the meat to give the X factor in spades. In contrast, the bun is a sightly sweet white burger bun with sesame seeds. For these burgers we’ll be back.